Dell has thrown in the towel on its last Android-based Streak tablets in the US as new analysts step forward to note that Apple's only competition in tablets is coming from Amazon, although saying it is "needing to do so by selling at cost." Dell introduced its Streak 5 (originally named Mini 5) as a hybrid small tablet/smartphone in May 2010, with both a 5 inch display and 3G calling features that placed it somewhere between Apple's iPod touch and iPad. It also introduced a 7 inch Streak, which has featured 4G connectivity. Dell canceled the Streak 5 in August, and is now noting that the online sales of the Streak 7 have also been canceled. Dell says the Streak 7 will continue to be available through some retail outlets, and continues to sell an Android-based Streak 10 in China. However, the company is recommending both Windows Phone smartphone models and talking about Microsoft's Windows 8, which is expected to support iPad-like devices sometime at the end of next year. Apple sold more iPads in the last quarter than all the PCs Dell sold in total. While unable to deliver a credible tablet competitor to Apple's iPad using either Google's Android or Microsoft's current Windows 7, the company has had any prospects for selling smaller, low end Android devices destroyed by Amazon's entry of the $199 Kindle Fire. Evercore Partners analyst Robert Cihra released a note saying he expects Amazon's Kindle Fire to make up half of all Android-based tablets sold in 2012. Cihra wrote that Amazons Kindle Fire "looks like the only tablet to so far mount any credible iPad challenge," while observing that it "apparently needing to do so by selling at cost." 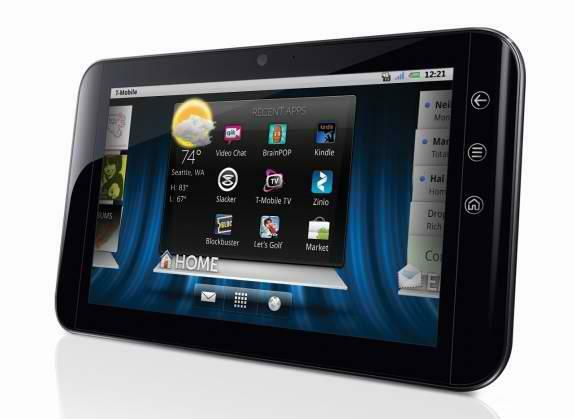 Amazon's efforts to sell the low cost Kindle Fire running a custom version of last year's Android 2.3 threatens to completely derail Google's intentions to mount this year's Android 3.0 Honeycomb and Android 4.0 Ice Cream Sandwich as a driving force behind profitable iPad competitors. Last October, Apple's then chief executive Steve Jobs predicted that competitors' existing 5 to 7 inch tablets wouldn't ofter enough in functionality to compel smartphone users to carry a second device, while also failing to act as differentiated tablets large enough to run the type of sophisticated apps the iPad could. Jobs called mini tablets "dead on arrival," and predicted that "manufacturers will realize they're too small and abandon them next year. They'll then increase the size, abandoning the customers and developers who bought into the smaller format." Amazon hopes to skirt Jobs' dire prediction for 7 inch "tweener" tablets by selling the Kindle Fire as a essentially a big iPod touch, aimed at watching movies, reading ebooks and browsing the web, rather than a fully functional tablet. Amazon has also given up on actually making any hardware profits on its efforts to distribute the Kindle Fire, hoping that its software, media, and cloud service sales will cover its hardware losses. Apple executives have regularly stated that they intend to run their own iTunes Store and its App Store at "a bit over" break even, and have since released iCloud as a free service, pitting Amazon in a challenge to see which business model works best for sustainable profits, the platform and for users.